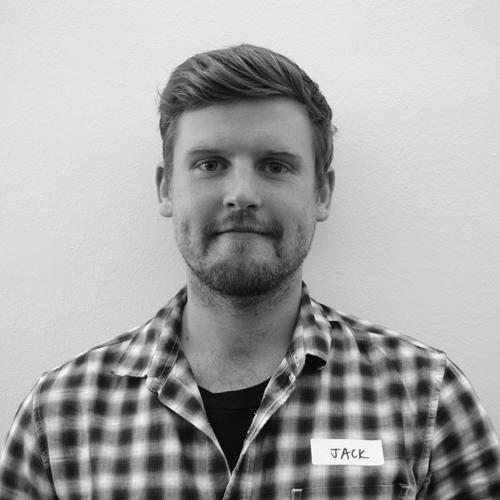 Jack believes in design as a revolutionary act, effecting social change via individual transformation. With a background in both entertainment and psychology, he seeks to utilize design to create an entertainment industry that consciously aims to transform rather than distract. His practice is anchored in speculation as a means to inspire a positive human future and his projects explore visualizing the quantified self, networking human emotion, and scaling artificial intelligence. He currently does freelance work for creative firms and production houses with the goal of creating his own transformational design agency. Outside of his work in design, Jack is also an avid traveller and occasionally moonlights as a stand-up comic.